TULIP pulled it off. As she finally became Labour’s parliamentary candidate for Hampstead and Kilburn yesterday, the size of her victory was, in the end, pretty emphatic. A section of the party had been disbelieving that she was the front-runner, but the figures will speak for themselves. The margin was handsome. 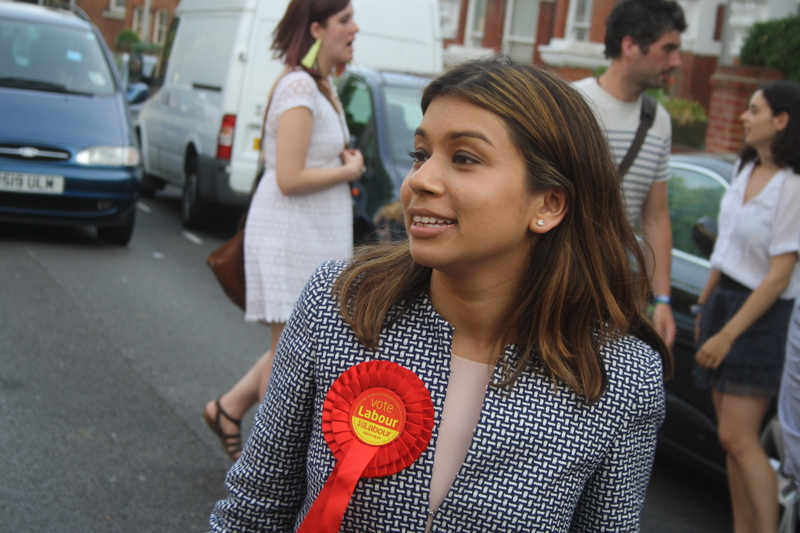 And yet not so long ago, Tulip Siddiq was the hard luck member diddled by an unknown dithering councillor. In the claret mess of the Camden group’s leadership contest last May, she missed out by a single vote in a second round of voting. Somebody switched between the two rounds, from voting for her to lead the Town Hall and moved to support Sarah Hayward, who had triggered the whole process by challenging Nash Ali, instead. Sarah became leader. Tulip was left to contemplate what could have been. Yet, a conspiracy theorist might be thinking this morning, with Tulip scoring an arguably more attractive gig little more than a year later, that she was the one who had most to gain from the switched vote on that heady night. OK, it’s hard to believe she did the deed herself – this isn’t House of Cards – but with the way it has worked out, if she could time-machine herself back to that moment now she might make damned sure she didn’t conquer round two. It was the perfect result for her. It meant she had shown she could challenge the leadership right down to the wire, adding a bit of punch while remaining free to kick on towards parliamentary selection without the commitment of running the council, and that’s a pretty major commitment right now. And her near miss helped define her successful tilt for the Hampstead and Kilburn nomination. As irritating as this may be to those who opposed her, she was able to position herself as the left-of-the-party candidate, which is what many Hampstead voters think they had in Glenda Jackson. It played into this narrative when Sophie Linden and Sally Gimson ended up on the final ticket with her. Sophie, despite a CV packed with experience, was not allowed to forget she had worked for a Blairite government, as if Tulip had never worked for the loyalist Tessa Jowell. Sally, meanwhile, was questioned on her views on the Iraq War, reminded that she had plumped for David Miliband in the leadership election and had a Tory-leaning husband at home, who should actually be believed when he reports that his chances of swaying Sally’s mind are paltry. Tulip’s doubters say that siding with Ed Miliband instead of David in the leadership contest and networking with the unions doesn’t make her the next Jeremy Corbyn. But most of them had to look back with either amazement or jealousy when they scanned the well-wishers ahead of yesterday’s vote and saw the alliance of left-wing activists amassed in her favour. One out-of-borough voice recoiled: ‘Every trot in London seems to be on her side’. Trot is always the word used when the right side of the party wants to belittle the other wing as unrealistic star-gazers, always dreaming about tomorrow’s socialist utopia. But in Hampstead and Kilburn, old school Labour punts were a good bet for Tulip… and there was always the story of the Camden leadership election to fall back on. Sarah may rightly feel aggrieved by being characterised as some raving Blairite type in comparison to Tulip, but that’s how the story is often sold by her rivals. The rebels swung behind Tulip from then on, while sceptics were left to wonder how a relation of Bangladesh’s prime minister had managed to become the rootsy alternative. When those grand, cross-continental diplomatic links were discussed, Tulip adeptly batted away the potential Yorker. “I have deliberately not talked about it because what would you have thought of me if I came in and the first thing I said was that I was related to the Bangladeshi Prime Minister?”, she would tell colleagues. Then they would ask her about the time she met Nelson Mandela. When pictures of her meeting Vladimir Putin were circulated, it was told in reference to her being the victim of a smear campaign. What Sophie and Sally might have needed yesterday was somebody to split Tulip’s vote on the slate, somebody from the Ed Miliband world who could test whether she really bleeds Morning Star newsprint. These days there is less venom, to some extent, in Labour group meetings in Camden. A recent point for potential rebellion was an internal vote on whether the council should revert to the old committee style of governing. Only two voted for the change, which would water down the power of the cabinet. Sarah meanwhile has managed to impress some of those who voted against with her contrasting approach to opposing the HS2 development. Yet that razor-tight leadership vote has still helped map out a lot of what has gone on since. Sarah was locked up in the Town Hall’s leader’s office, while Tulip was free to network – she’s skilled at that, remember her kiss from Gordon Brown and hugs from Neil Kinnock? – without being too closely associated with council cuts. In fact, when some libraries were abandoned by Camden to save money, Tulip’s tale was that of a saviour keeping them open, a courageous ignorer of council officer advice, even if they would not be run by the council any more and volunteers would be left with the heavy-lifting. It’s true, there were some Labour members who were disbelieving that Tulip was the front-runner. But she had, however, laid the foundations already, often the first to call many of the members when this process began what seems like a lifetime ago. She gave herself plenty of time to work out her path to victory. Then came hours and hours of hard work and phone calls. She certainly benefited from the sudden withdrawal of Fiona Millar from the contest just before Fiona’s team were about to press click on a campaign website. Fiona, a confident, high-profile speaker with an ability to appeal to both wings of the party, would surely have won or gone very close. But you have to hand it to Tulip in terms of effort. The numbers will show that she was a runaway winner, the reward for a campaign which dug the deepest trenches from the outset. The Conservatives and Lib Dems should be concerned that even if they don’t like her speeches in the Town Hall chamber, she is capable of putting together quite a machine when a target is within sight. She knows how she can win. What Labour has to realise is that its got itself entangled too far with the ruling family of bangladesh. Since Tulip is an “executive board member” of Unite (does executive mean ‘paid’?) and the rumours say she received 150 postal votes, can’t we assume she won because that was what Unite wanted? All the candidates were members of Unite. Richard, your piece on the Machiavellian maneuverings that have allowed Tulip to triumph, speaks volumes about the state of politics in Camden. In the absence of any weighty discourse from Labour upon which one might comment, one is left merely to gossip about the arcane minutiae of human relations played out in their sordid soap opera. Who didn’t vote for Tulip? Who shot JR? Who cares?